Are you worried about your mobile security, battery drainage, backup and theft issues? There is no need to bother anymore. BullGuard Mobile Security will resolve all issues highlighted above. In addition to that, it protects the lifespan of your Mobile too. This app is a kind of a masterpiece developed by the BullGuard that you will love using. It is quite easy to use. You can control your device with full authority from anywhere. This App is equipped with pretty wonderful features which are as follow. Antivirus – It protects your Android from viruses, malware, adware, trackware etc. that could have an adverse effect on your mobile’s health. Both the facility of automatic and manual scan is available. The automatic scan starts soon after installation. Antitheft – Helps you to lock, locate, and wipe data in case your mobile is stolen or snatched as it is a web-based tool. You can control your device from msm.bullguard.com. Also, it lets you find the misplaced phone by signaling an alarm. Login into your account to control and monitor your device from anywhere. SIM Protection – It automatically activates device Lock if SIM is replaced. Call Manager – Block unwanted and troublesome calls and messages but putting the number into the blacklist. Blocks spam messages automatically. Backup – Save your messages, calendar, and contacts without any fear of losing. Your data is saved and encrypted in secure cloud location from any loss. Moreover, you can also transfer data to other devices as well. So, I personally recommend this Mobile Security App to keep your mobile protected anytime. 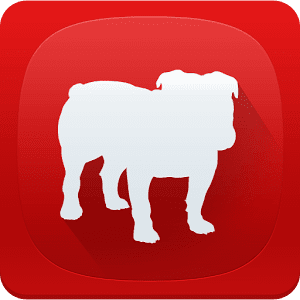 0 Response to "BullGuard Mobile Security 14.0.9.133 APK Is Here! LATEST VERSION"